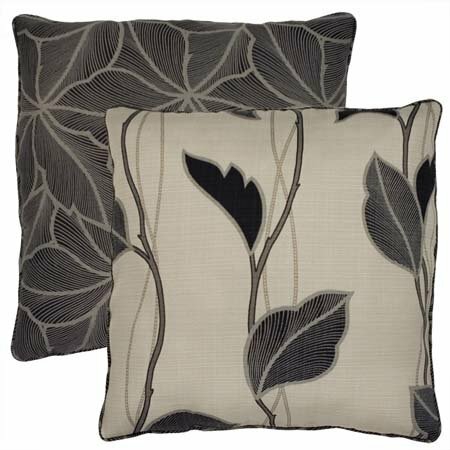 Square reversible pillow, vine print on one side with darker leaf print on the other. 17" x 17". Piping edge. By Thomasville Home Furnishings. Manufacturer UPC is 013864106726.